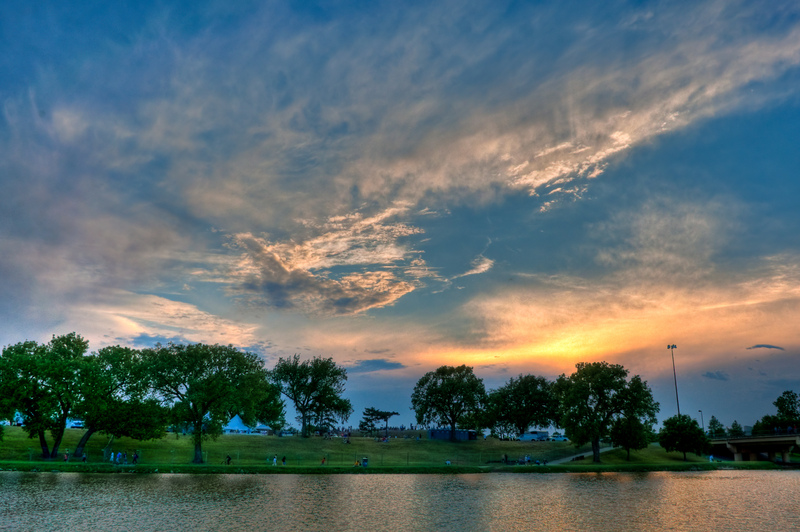 I posted another version of this photo quite awhile back, but this is the original HDR version, if that makes sense. 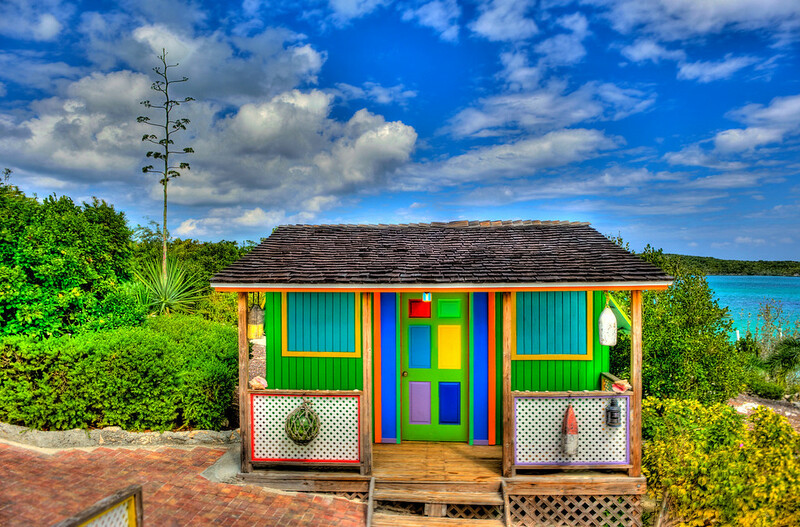 I’d like to report that this is some historic little building, but in reality it is near the stingray attraction at Half Moon Cay in the Bahamas. This is a private island, owned by one of the major cruise lines. Someone put a lot of effort into the paint job, and my wife was quite taken with the structure. Once I saw that crazy tree (on the left) straight out of a Star Trek episode (“Metamorphosis”) , I liked it also. I half expected The Companion to come gliding around the bend for a conversation. Of course, if you don’t know what I’m talking about you are probably not a Trekkie. 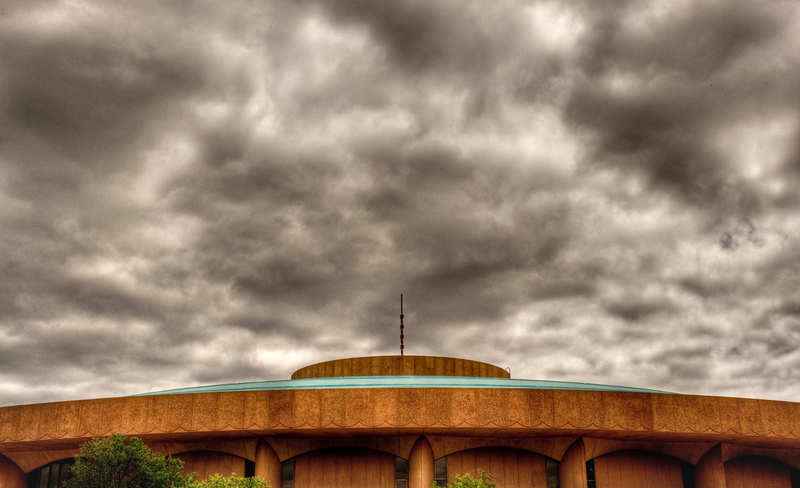 One of Wichita’s downtown landmarks is the saucer shaped Century II Performing Arts & Convention Center. The building was completed in 1969, and has been serving the city ever since. 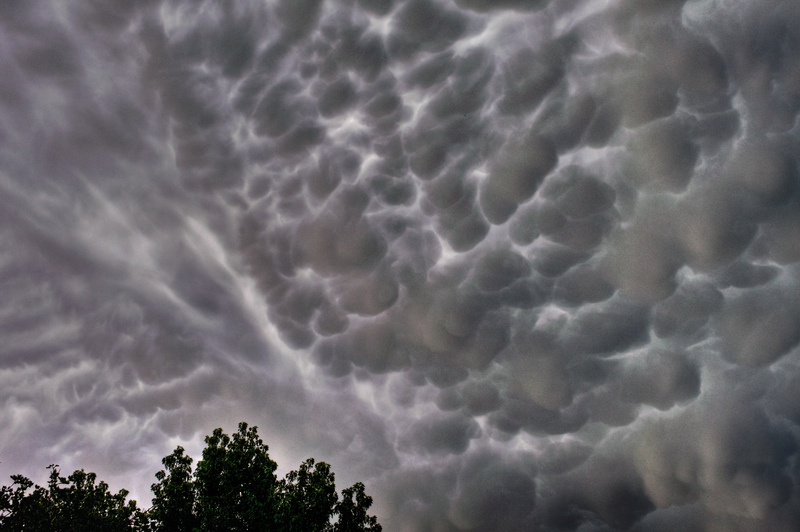 I had tried processing this HDR a few weeks ago, but was disappointed that there was so much noise in the sky. I’ve just upgraded to the latest version of Photomatix, and also done some more reading, and am more pleased with this version. As is the usual with me, this is a three exposure HDR, this time combined with Photomatix Pro 4.0. They have made some improvements to the program, not the least of which is a slick little plugin for Lightroom so you don’t have to keep bouncing between individually started programs. Very nice. Another of my more abstract Alaska images, taken in Glacier Bay. This is actually taken from the deck of a large cruise ship, the captain was able to maneuver her quite close to the glacier. At least it seemed close. I like that there is no sense of scale here. 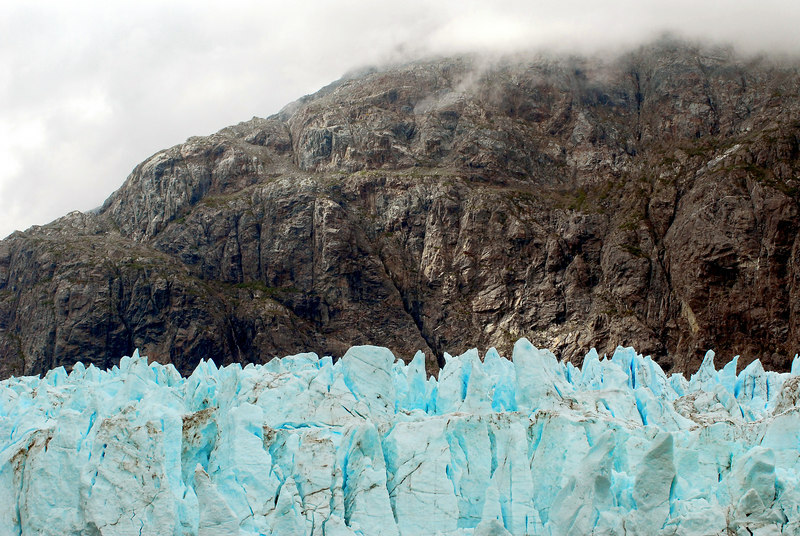 That is actually what I would describe as a mountainside, and the glacier ice must be several stories tall. When watching pieces of the glacier calve off into the ocean, we were told that no, those pieces falling were not the size of cars, but the size of houses. Even viewing the scene directly there were no man made or other familiar objects to give the landscape any sense of scale. Alaska is humbling and fascinating at the same time. This image is a few years old now, captured in the Toklat River area of Denali National Park, Alaska. This is as far as my wife and I made it into the park on the bus system. My intention was to then work our way back to the park entrance on the buses, getting off quite a lot for photography along the way. Turns out we only got out of the return bus once. Apparently there was some spousal apprehension that a grizzly might come walking out of the underbrush and have us for lunch. Anyhow, seeing as though although unlikely, it could happen, I chose not to make too big a fuss. I liked the semi-abstract nature of the composition in this monochrome conversion. This is one of those ‘photos I like, but…’ situations where I never got any good feedback from the family audience however. Saturday evening there was a thunderstorm brewing just east of Wichita, illuminated by the setting sun. I didn’t have time to go anywhere to find a nice foreground, so this is a tight crop. I tried HDR on this but I actually ended up liking the straight version best, so that’s what you see here. This was cropped and levels adjusted in Lightroom, no HDR shenanigans this time. 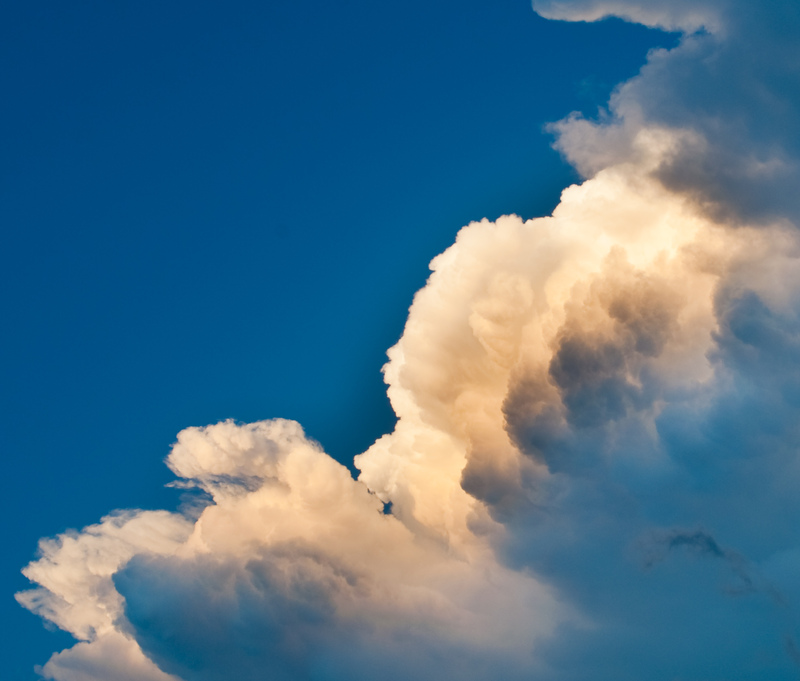 I’m always looking for nice cloudscapes, an interesting sky is irresistable to me. 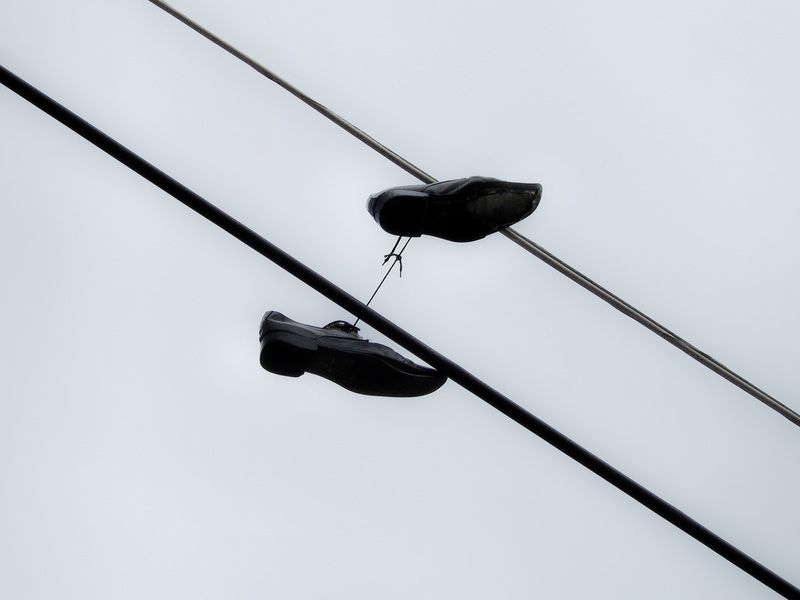 Actually I ran across this scene a couple of months back, I think the shoes are still hanging in the same spot. This is on the street where I live. One can only speculate on the story behind this one. Usually it is athletic shoes you see in this predicament. 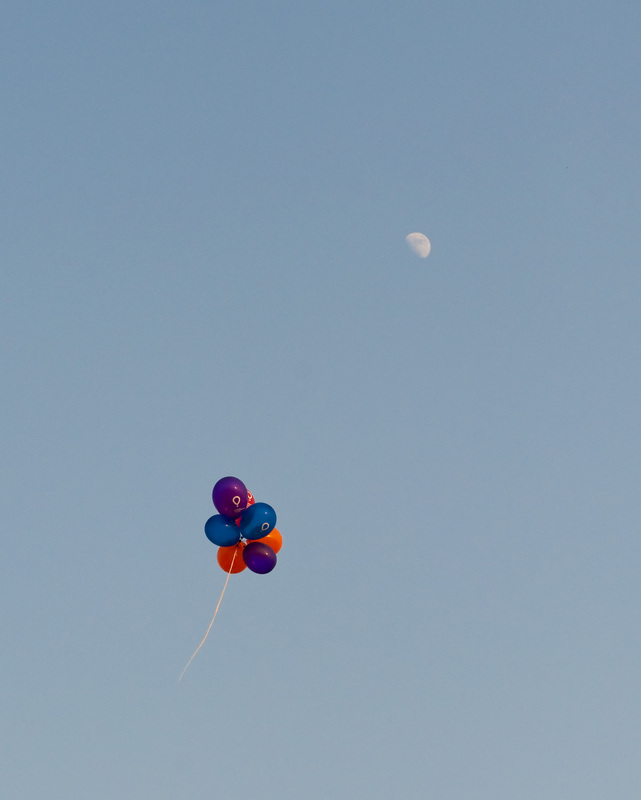 This bunch of helium balloons got away early from a planned mass balloon release by children at the Wichita Riverfest. This one’s for Ken Bello. I’ve been photographing the Wichita Riverfest the last week. (Just for fun, they have a photo contest.) One of Saturday’s events had a car show of sorts, all manner of vehicles parked downtown on display. I’ve never really had the opportunity to try this type of show car photography before. 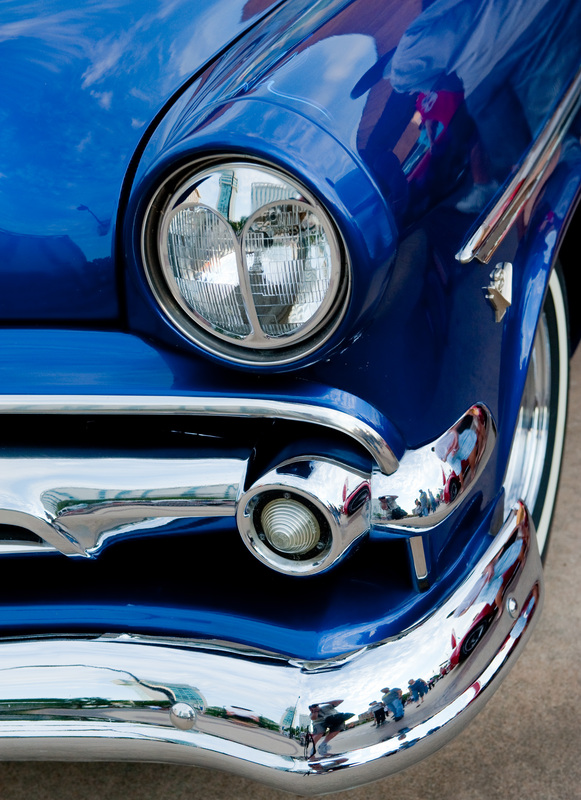 This old Ford convertible was drawing a lot of attention. Great details and paint on this car. I’m seeing all manner of reflections in the chrome and paint that I hadn’t noticed during initial processing. I can see where you need to be mindful of reflections when doing this sort of thing.